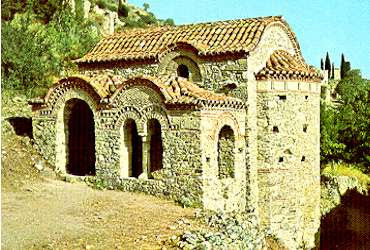 Restored in 1953, this is one of the most characteristic of Mystra's chapels. The south roof, with its attractive brickwork decoration, is particularly interesting . Like other chapels at Mystra, St. George served as a private church, the property of some aristocratic family whose members were buried here.